Want to get off the beaten path on your vacation? Spa towns in Europe might not be on everyone’s itinerary but they have a lot to offer the traveller. Here are 8 reasons you should go. If you hear the words ‘spa town’ and immediately cross it off your European travel bucket list, you’re making a mistake. Even if you don’t like spas you’re making a mistake. Why? Because spa towns are some of the most beautiful destinations in Europe, and they’re so much more than than what they seem. Here are eight reasons every traveler should put a spa town in Europe on their itinerary. The ancient Greeks were fans of hot springs bathing, so were the Etruscans and even the Celts. Some places with hot springs such as Montegrotto Terme in northern Italy were considered sacred, and today you can see remnants of this history while indulging in a spa treatment for yourself. 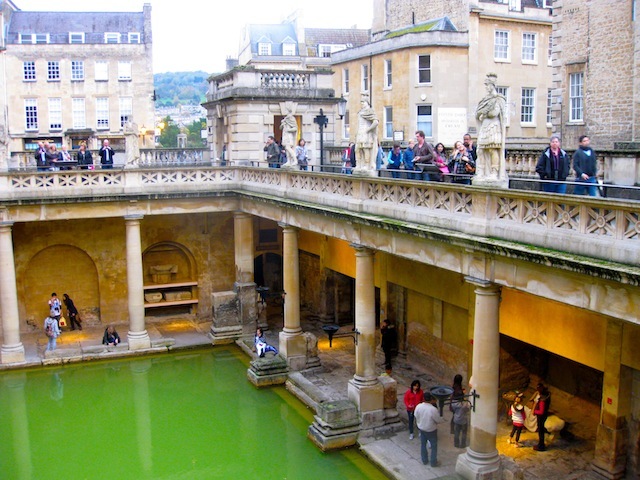 It was the Romans, however, who really perfected the art of the spa, building elaborate bathing centres like the one in Bath, England that did double duty as places to socialize and relax. Just have a look at all the wonderful spas in Tuscany to see how the Italians have perfected their spa culture over the centuries. After the Romans came the spa-loving Georgians and the Victorians and just about any other era you care to mention. Charlemagne liked to soak in the hot springs of Aachen. and Cleopatra may (or may not) have soaked in the hot springs of Pamukkale in Turkey. This means that for you, my lucky traveler, a visit to some of the famous spa towns in Europe such as Karlovy Vary or one of the other top Czech spas is a trip through time, where a fabulous architectural legacy and a long spa tradition remains. If you care to see how the other half lives, and by other half, I mean aristocratic and generally, erm, mature, a spa town is the place to go. For centuries, it was the wealthy upper crust who had the time and money to swan around, eating, drinking and soaking, and in spa towns such as the Belle Epoque Baden-Baden in Germany, the flavour of grandeur and elegance remains. 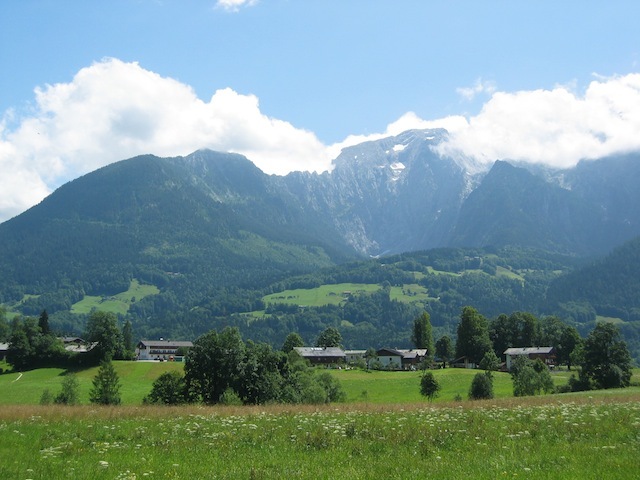 From salt therapy deep in a salt mine to cure asthma in Berchetesgaden, a spa and wellness destination in Germany’s scenic region of Bavaria, to the mineral spas of Frantiskovy Lazne and Marianske Lazne in the Czech Republic, spa towns in Europe are ready to treat everything from rheumatism to gout. Just make sure you know what the spa specializes in before you go – each spa has its particular focus and different hot springs resorts treat different conditions depending on the water’s mineral makeup. What? Spas you can afford? Yes! (That’s why I go every year.) 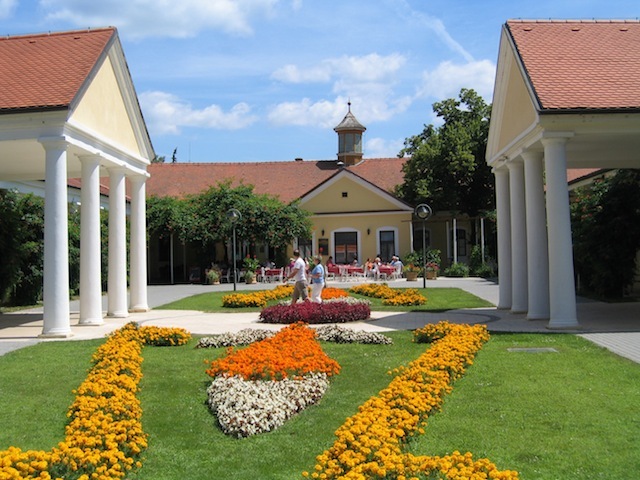 Spa packages in destinations such as Hungary and Slovakia’s Spa Island of Piestany offer budget-friendly opportunities to sink into an intensive (yet incredibly relaxing) immersion in all things wellness. Just don’t expect 5-star fancy towels and soft music. But expect a lot of other great stuff. Often European spa packages include meals, spa treatments and accommodation for a fraction of what you’d pay at home. 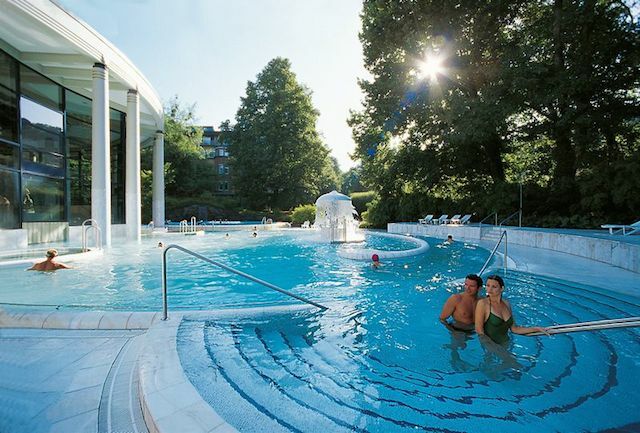 Some spa destinations are fabulous places just to sample the thermal pools, get a massage and generally just dip your toes into European spa culture. You don’t always have to splash out on a full spa package. If you’re travelling in Hungary you can visit the baths in Budapest just for a day. 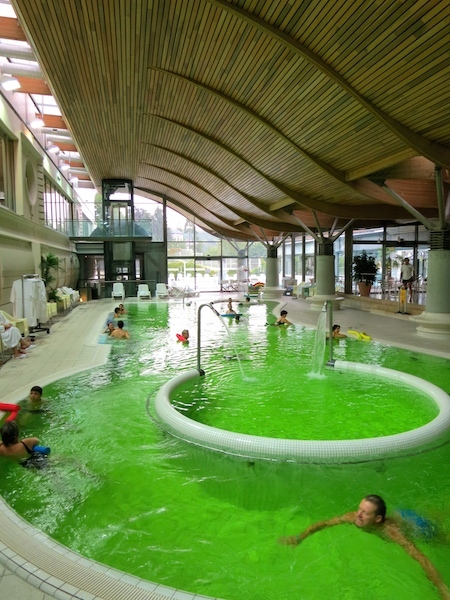 Or if you’re exploring the towns around Lake Geneva, you might want to check out a spa treatment in Evians-les-Bains. It wasn’t easy convincing my husband on the benefits of visiting spa towns, especially when he learned the itinerary I’d planned for our honeymoon was heavy on spas. But, as I explained to him (quite eloquently I might add) that many spa towns in Europe are set in places of natural beauty with plenty of hiking trails, he eventually got onboard. And that’s how we spent a week soaking in the alpine spa of Leukerbad in Switzerland. And Baden-Baden in Germany. And, er, Abano in Italy. I would have fit in a few more spa towns but we ran out of time. Spa towns in Europe tend to attract not tourists, but europeans who considers wellness a normal way of life rather than a one-off splurge at a fancy downtown spa. Just check out destination such as Aix-les-Bains or Vichy in France to see what I mean. While the demographic tends to be older (European spas are a definite hit with the retired set), it’s a step into a world you might not have realized existed. It’s one I find fascinating, one where spa treatments are intended to heal, where you might be plastered in mud then hosed off, told how long to soak in the thermal (naturally hot) water by a spa doctor, and/or what mineral springs to drink from. What? Didn’t I just say European spa towns are old-fashioned? Well. It depends what spa you go to. 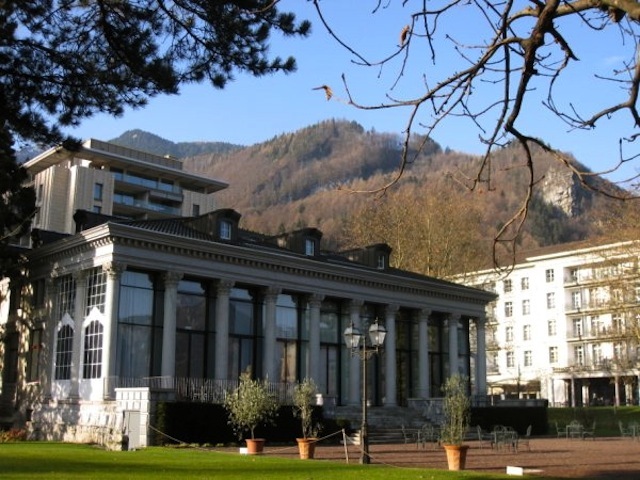 Spa towns such as Bad Ragaz in Switzerland offer amenities such as Swarovski crystal saunas, sports medicine and even plastic surgery. 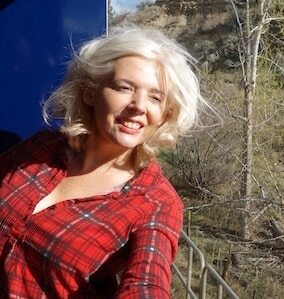 And don’t get me started on glamorous Tuscan spas. Just know that places such as these are at the top of the luxury spa spectrum, and will be priced accordingly. But they’re so worth it. Your health and wellbeing are priceless, right? At least that’s my story and I’m sticking to it. So next time you visit Europe, I hope you add in a spa town, too. 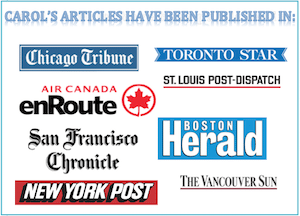 For more blog posts about spas read Top Spas and Spa Vacations or visit the Spas category on this travel blog. If you’re intimidated by the thought of going to a European spa for the first time, here are all the etiquette spa tips you need to know.